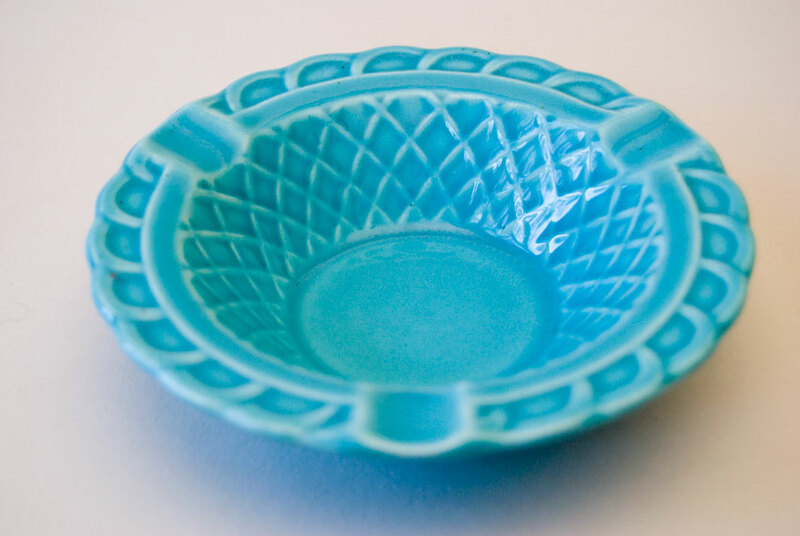 Circa 1942-1959: Vintage Harlequin pottery basketweave ashtray is unlike most other items in the fiesta/harlequin/riviera line. 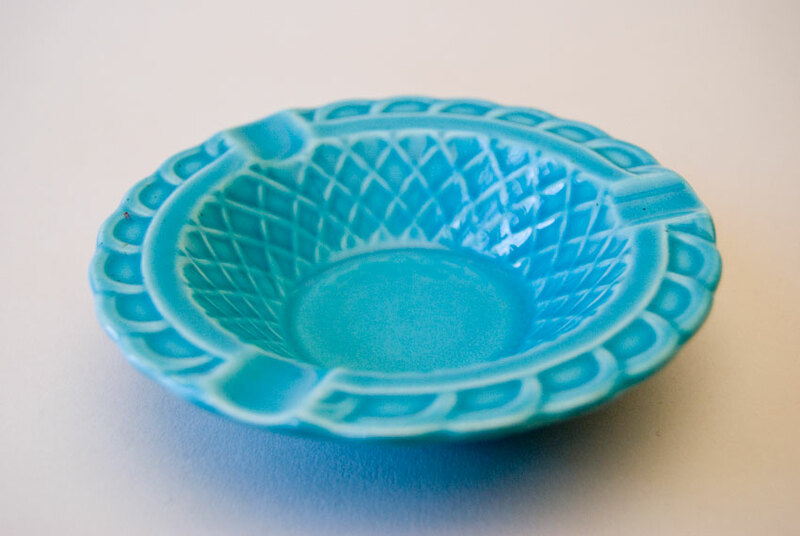 Harlequin had three different ashtray versions. 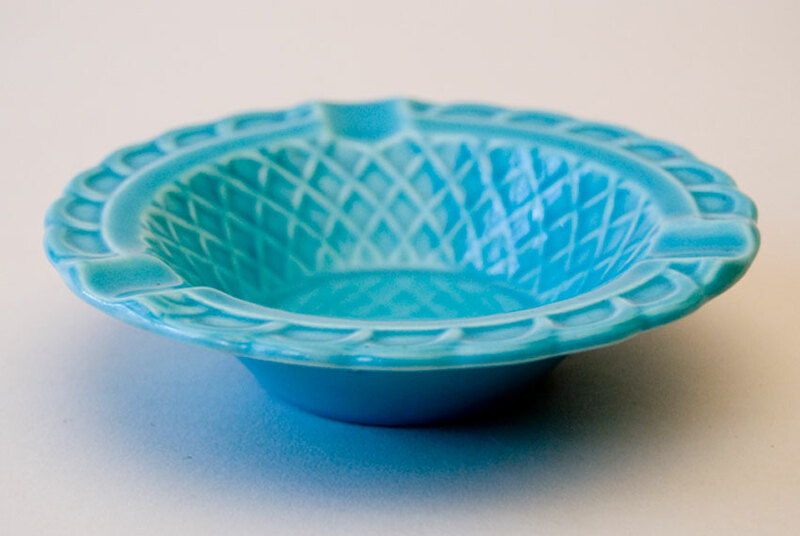 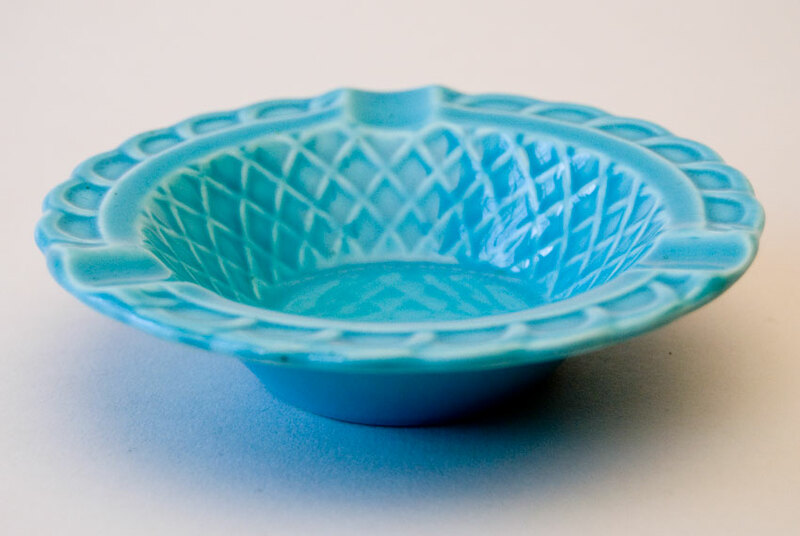 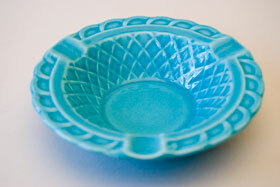 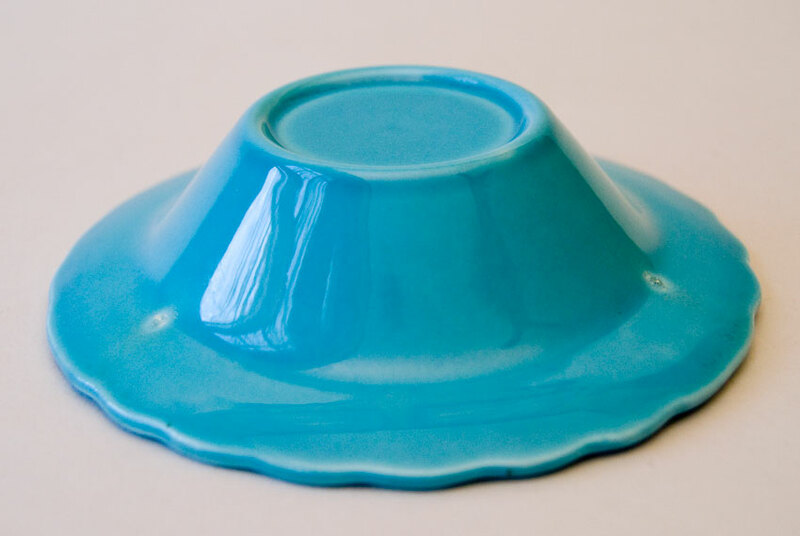 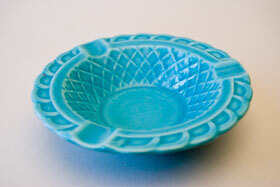 The basketweave version was modeled after the Japanese Marutomo ware ashtray without the floral decoration.